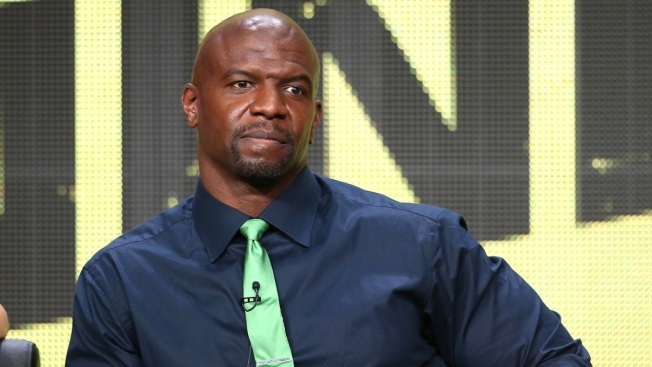 Terry Crews says a film producer said he could only return to the "Expendables" franchise if he dropped his sexual assault lawsuit against a Hollywood agent. The actor said it was an example of how "abusers protect abusers." Crews, who last year accused William Morris Endeavor talent agent Adam Venit of groping him at a party, was asked if there had been any retaliation for making the sexual assault allegation. He said "Expendables" producer Avi Lerner asked that the actor drop his case in order to appear in the fourth installment of the action film and warned of "troubles" if it wasn't dropped. Crews has been in each of the previous films. "Abusers protect abusers — and this is one thing I had to decide, whether I was going to draw the line on. Am I going to be a part of this or am I gonna take a stand, and there are projects I had to turn down," he said. An email seeking comment from Lerner's Millennium Films was not immediately returned Tuesday afternoon. Millennium Films is being sued for sexual harassment and gender discrimination by a former employee. The Los Angeles County district attorney's office decided in March not to file charges against Venit, determining the allegations were not a felony. Crews has also filed a lawsuit against Venit.